Vinhomes Central Park is one of the most famous luxury apartments in Ho Chi Minh City with international standards, professional management system. Therefore, the quality of your life will become high-class standard in the apartment. 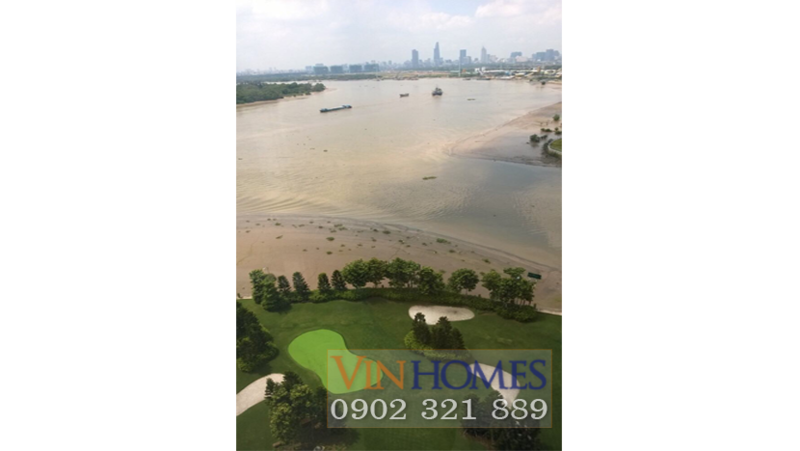 At Vinhomes Central Park apartment, you and your family will enjoy wonderful moments on the Saigon River. This apartment has extremely beautiful views through the large glass in the living room, you will perceive that you are living in this clean and beautiful river of Ho Chi Minh City. Please kindly look in these pictures, not only the living room, the bathroom of Vinhomes Central Park apartment also has a view of the Saigon River. The apartment on the 20th floor of the Central 2 building, is quiet and elegant with luxurious and fully furnished, the price just is 7.9 billion VND.